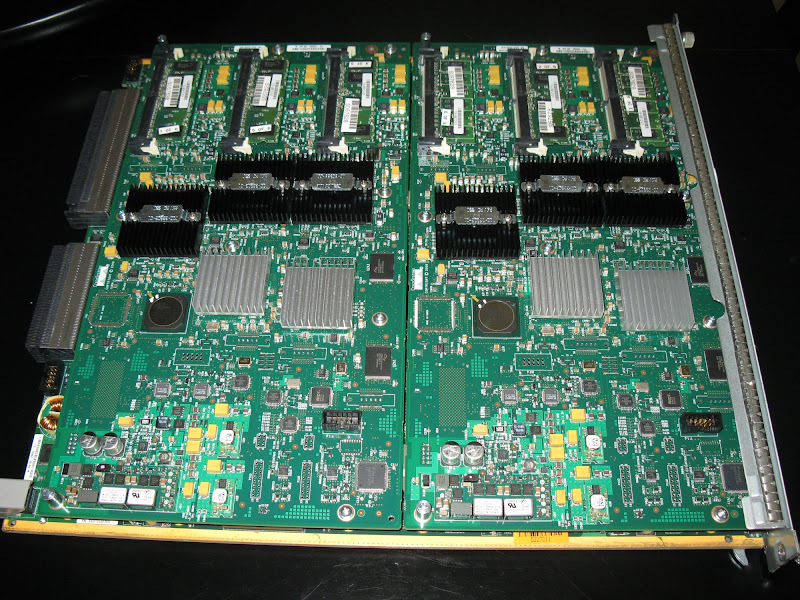 Here you see what the SAMI card (larger) looks like outside of the chassis. 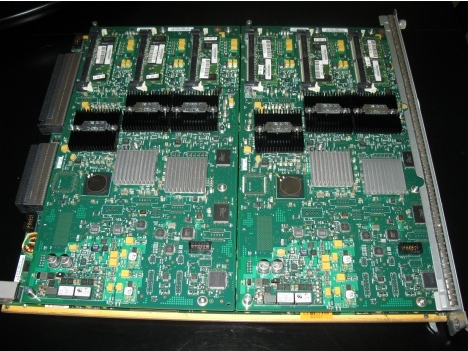 What you're looking at is the two daughter cards that hold the 6 PowerPC processors and 6 GB of RAM (1 GB per PPC). Underneath the daughter cards is the main motherboard. This card has no external interfaces. This came preloaded with the WiMAX ASN gateway software. Check out the SAMI boot output.